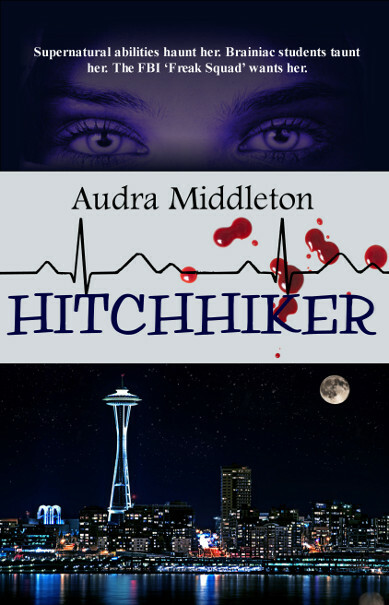 My new humorous paranormal thriller, Hitchhiker, will be available as an ebook next week! In honor of its release, I’m interviewing characters from the book here during my regular posts. Today Jack Conway is here with us. Thanks for being here, Jack! My pleasure, pretty lady. What can I do for you? What do you do, for the FBI, I mean? Oh, I do a little consulting for them. So, you’re an expert of some kind? What type of consulting advice do you provide for them? Let’s just say I know a thing or two about the criminal mind. Don’t they have an entire department of experts in criminal behavior? Sure, sure. But why consult with some stiff in a suit when they can work with a handsome devil like me? Because they might rather work with professionals than a criminal. You do have a criminal record, don’t you? Oh, I’ve had some run-ins with the law. Misunderstandings with some ex-girlfriends. Hell hath no fury like a woman scorned. Getting swindled out of thousands of dollars would make anyone furious, Mr. Conway. Just misunderstandings about some investments, that’s all. Now I have a question for you. Are your legs tired? Because you’ve been running through my mind this whole time. Ugh. I think that’s all I can stand for today. I hope you’ll check out my book, Hitchhiker, and get to know the rest of the FBI freak squad. Hitchhiker – available at Burstbooks.ca, Amazon.com, and most ebook distributors next week. In anticipation of my new book, The Hitchhiker, I will be interviewing some of its characters here during my monthly posts. Today I have invited Ainsley Benton, a former army brat who has recently been recruited by the FBI’s Department of Interagency Investigations. Thanks for joining us, Ainsley! You do know you’re talking to yourself, right? No, I’m speaking to a fictional character and all those who follow this blog. I do. So, Ainsley, tell us about your new job. I am a records clerk for the old files the FBI hasn’t had time to put into the computer yet. I also substitute teach for their Juvenile Training Department, otherwise known as ‘the brood of vipers.’ Really they’re just smart kids who like to torture their teachers. Oh, and I am a sketch artist for their Department of Interagency Investigations. Yes, tell us about the DII. I don’t think the public is really supposed to know about us. Right, and that might be a problem if you weren’t a work of fiction. Touché. So we’re like the backward X-Files. Instead of regular people solving bizarre cases, we’re bizarre people solving normal cases. And the only sketches I am capable of are stick figures. My DNA hitches a ride on other people’s central nervous systems, which makes me a human surveillance device. That’s my real job with the FBI. I see, and how’s that working out for you? Do you see yourself sticking it out with the FBI then? I can’t even commit to a cell phone plan. And are you sure ‘sticking it out’ is a good choice of words? Sounds kinda dirty. Okay, that’s all for now, folks. Join me next month for an interview with the DII’s analyst, Dylan Miller.